I am definitely a sucker for anything mango flavored and I will find whatever it is on any menu or any grocery store pretty much right away. And I'm most likely buying it because...mango! And yes I do buy a lot of fresh mangoes in season but the thought of juicing those babies is a little tiresome. 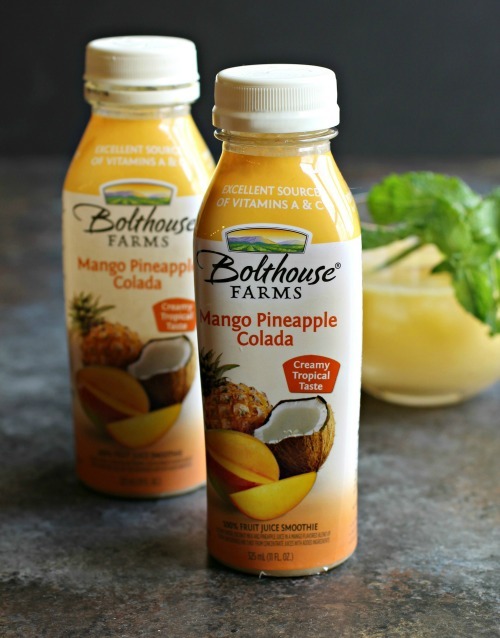 My point is that store bought mango juice and I are well acquainted but when I saw the new mango pineapple colada from Bolthouse Farms® I couldn't wait to try it. This flavor has no sugar added and includes coconut and banana for a more tropical taste and lots of fruit nutrition. And my verdict is yum because it's still distinctly mango but I can definitely taste the pineapple and the two flavors work perfectly together. I'm sure you're not surprised to hear that I needed to make a cocktail with it ASAP. I kept the ingredients simple because the juice is already packed with flavor so it's easy to make a big batch for a party. 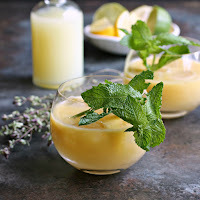 What I also like about working with a juice blend this flavorful is that it also makes a great virgin drink. So, if you have young guests or adults that would prefer to avoid the vodka, the mocktail version tastes just as good without the kick. Cheers! Note that if you do not have sparkling lemonade, use a tablespoon of lemon juice and 2 tablespoons of club soda. 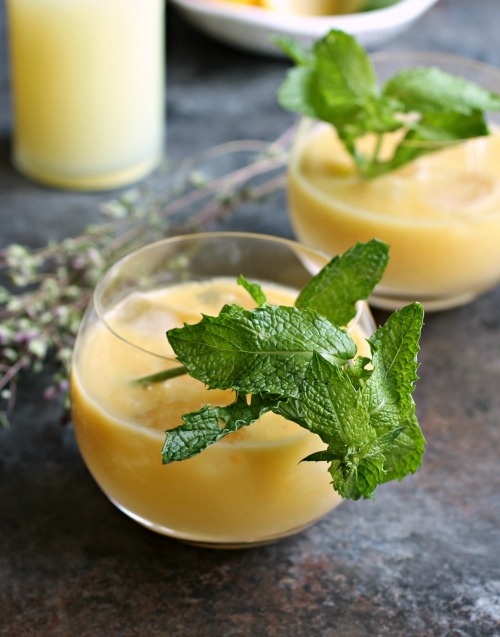 Combine the vodka, smoothie and 1 sprig of mint in a cocktail shaker and fill with ice. Shake well and pour into a chilled cocktail glass. 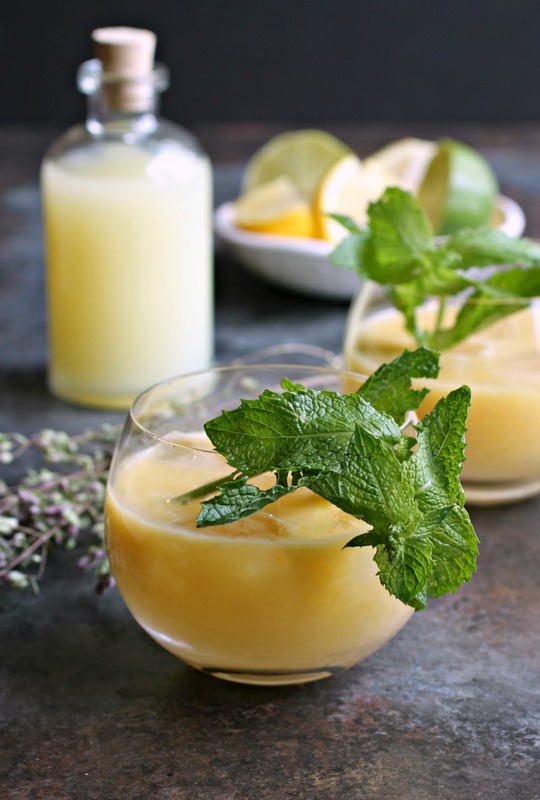 Top with the sparkling lemonade and garnish with another sprig of mint. To see the full line of Bolthouse Farms juices and recipe ideas, follow them on Twitter, Facebook and Instagram.